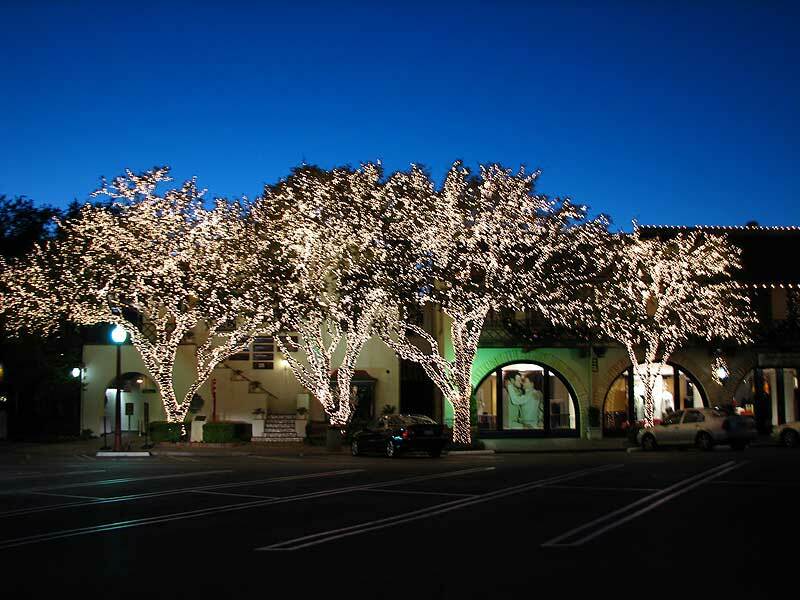 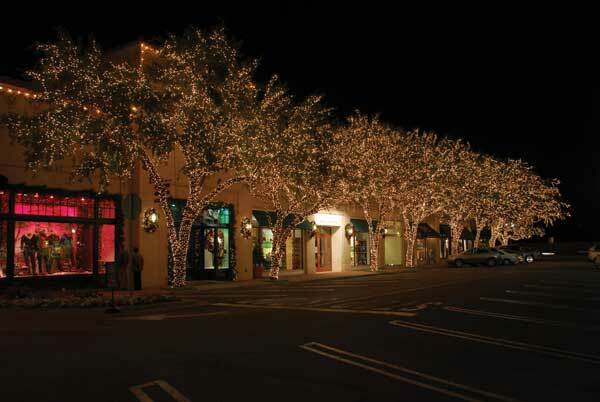 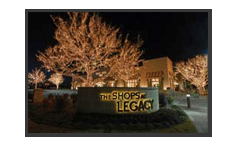 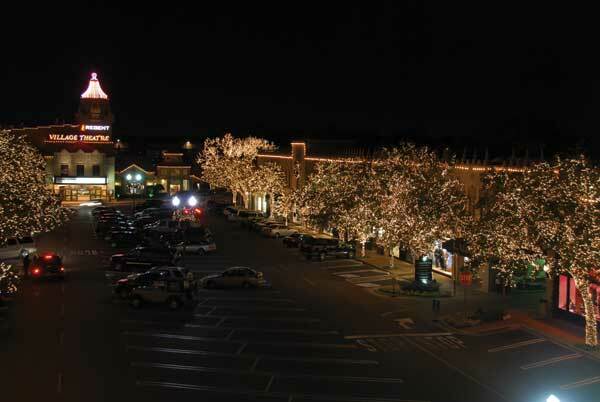 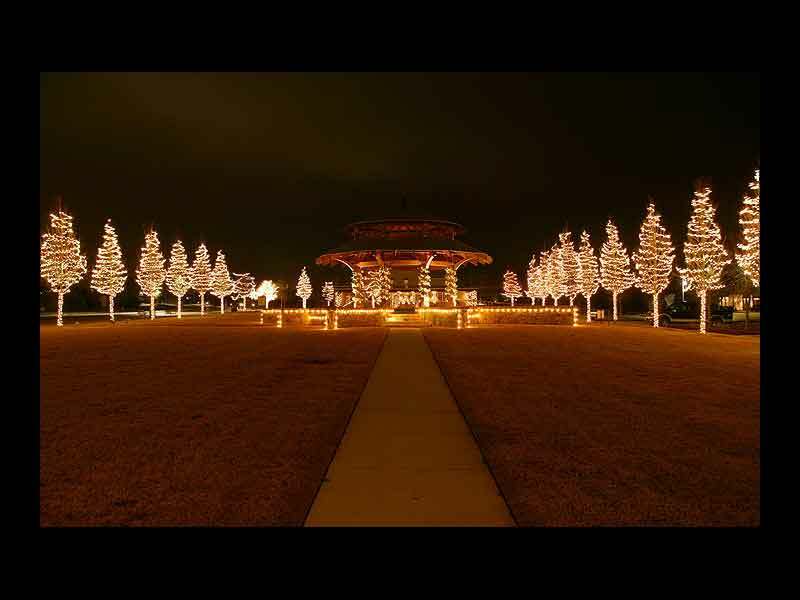 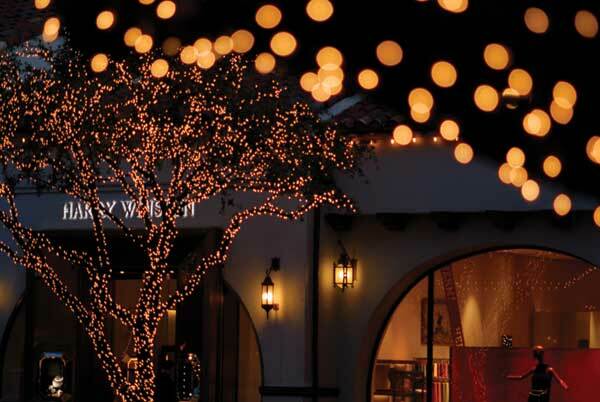 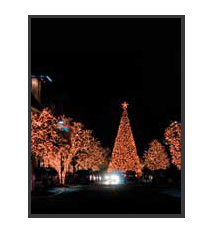 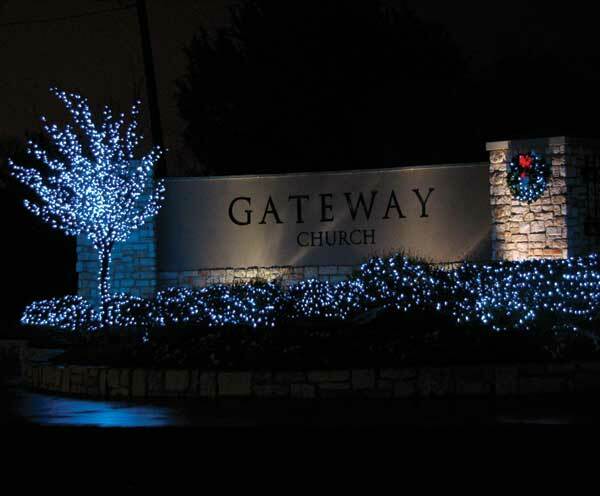 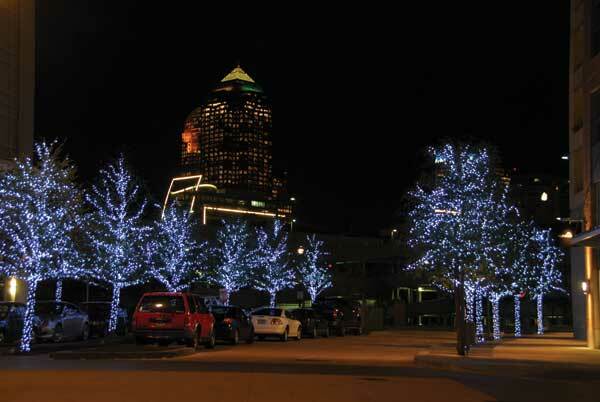 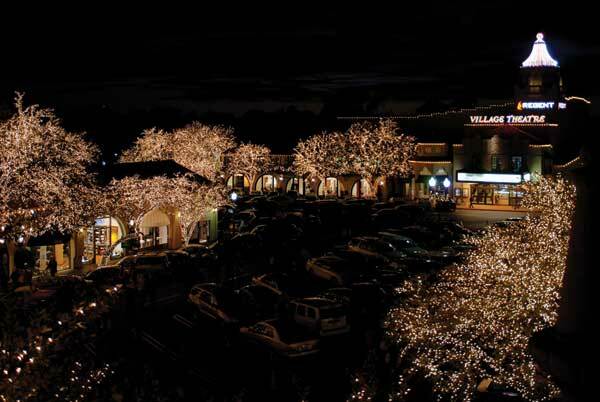 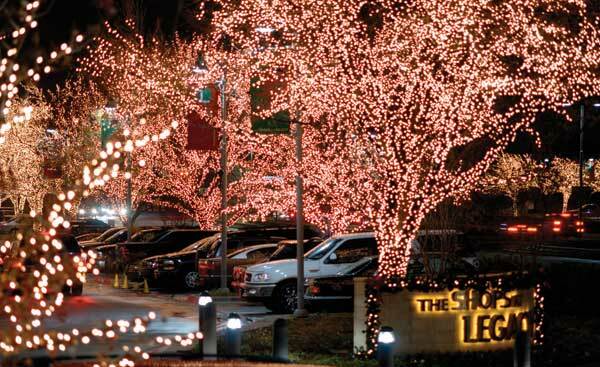 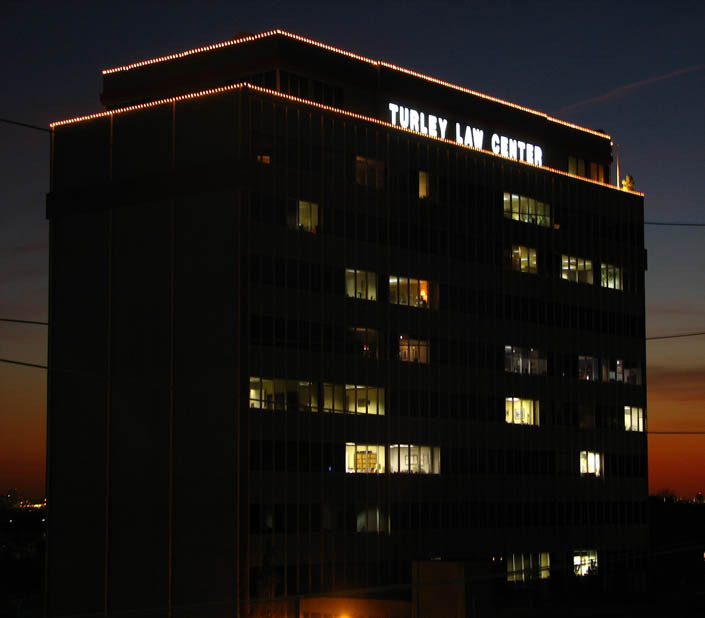 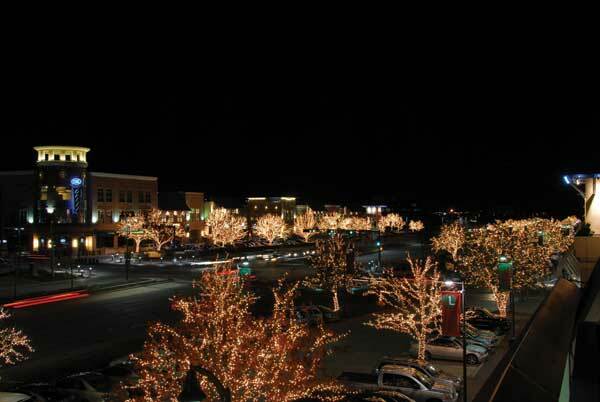 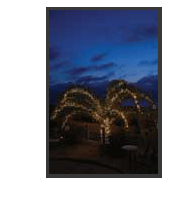 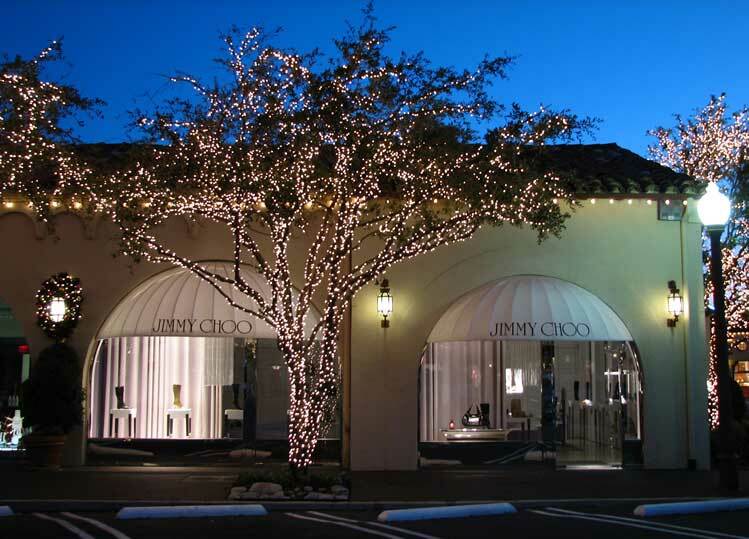 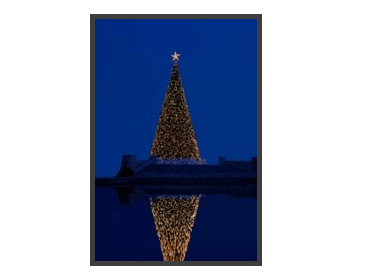 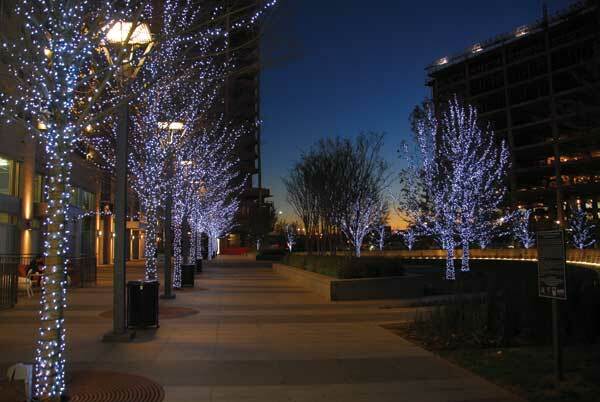 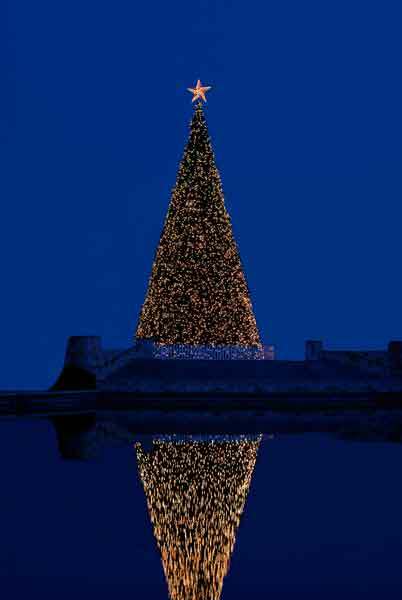 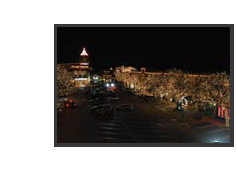 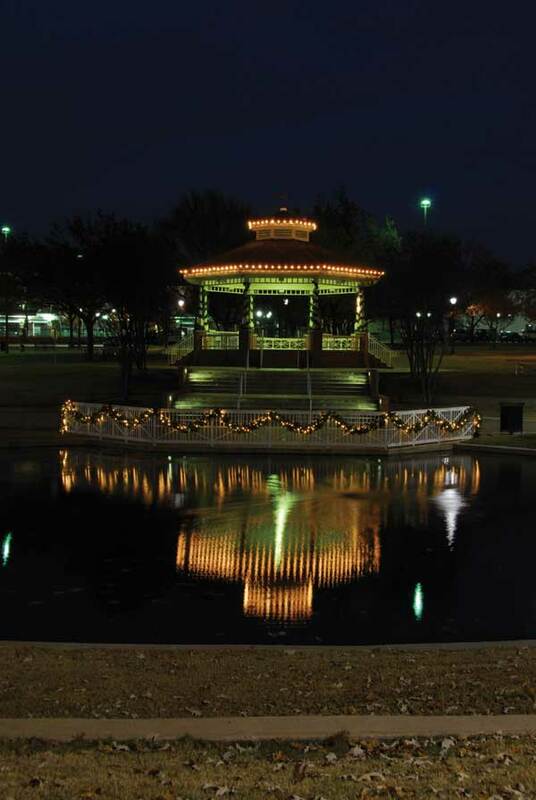 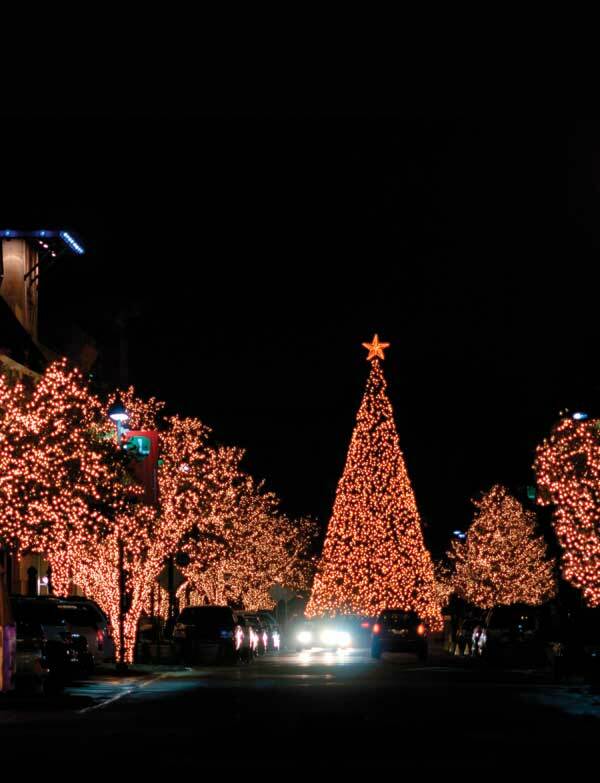 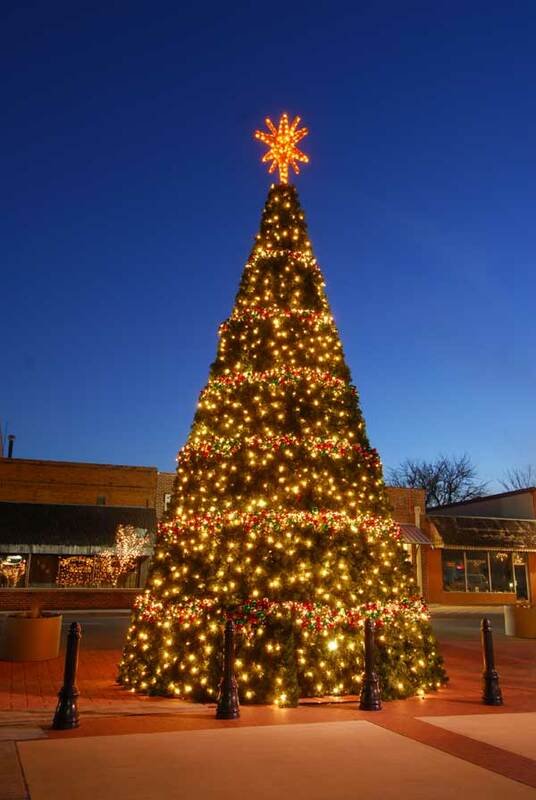 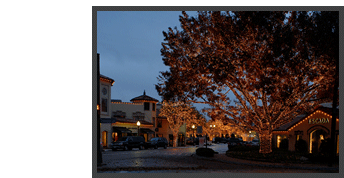 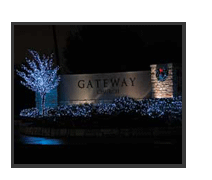 We decorate your mall, shopping center, bank, church, or office building with holiday lighting to your specifications. 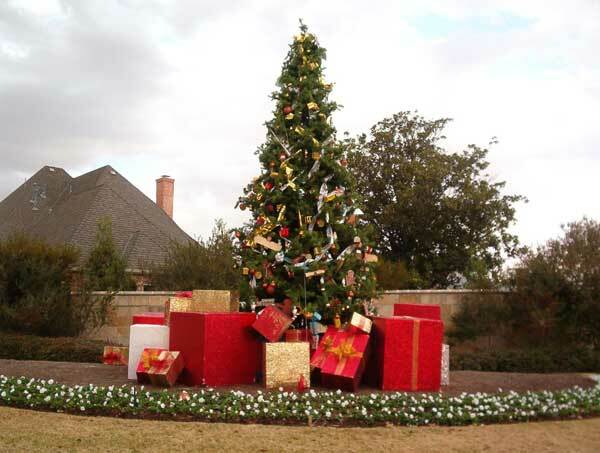 Wrapped trees, banners, and garlands on light poles continue the look throughout the property. 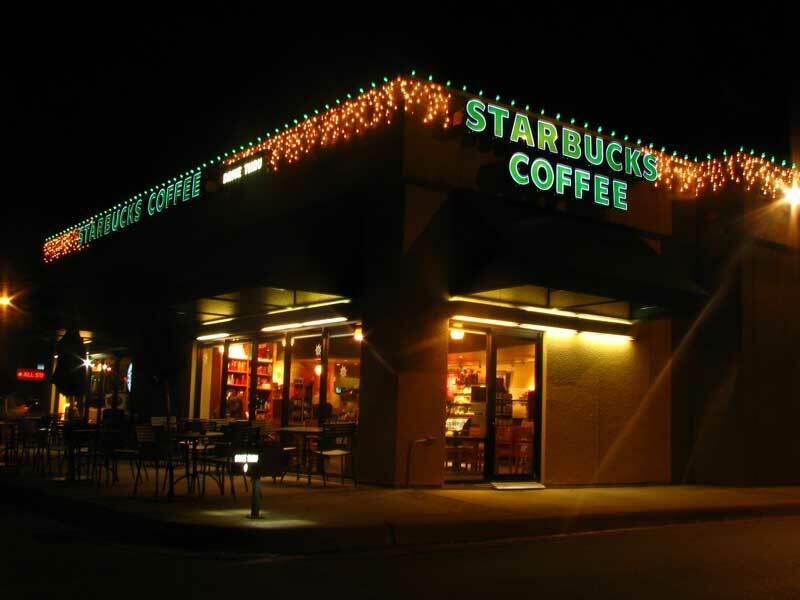 Give your business the boost it needs during the holiday season! 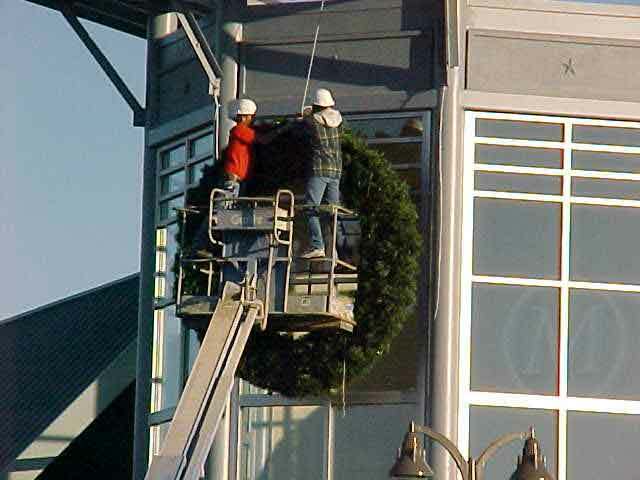 With our extensive collection of over-sized decorations, such as giant wreaths and displays, (which can be mounted on the rooftop, building front or anywhere on the ground) we can handle all your commercial decorating needs. 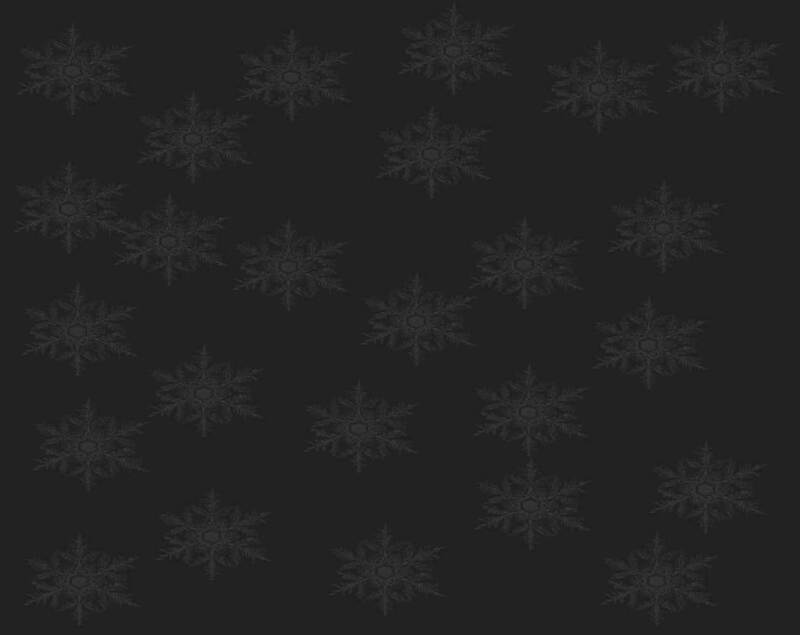 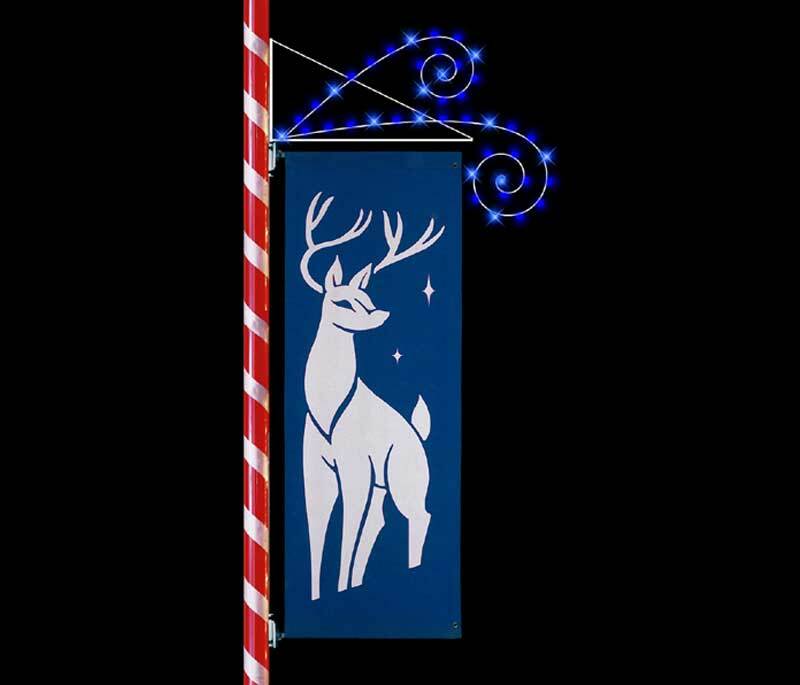 Our displays range from the more traditional 'Santa & Sleigh' & 'Christmas Carolers', to Ice Skating Elves or even any custom design that you can think of! 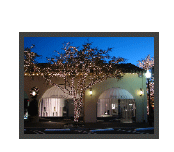 Our banners come in a wide variety of sizes and themes and are also available with custom designs. 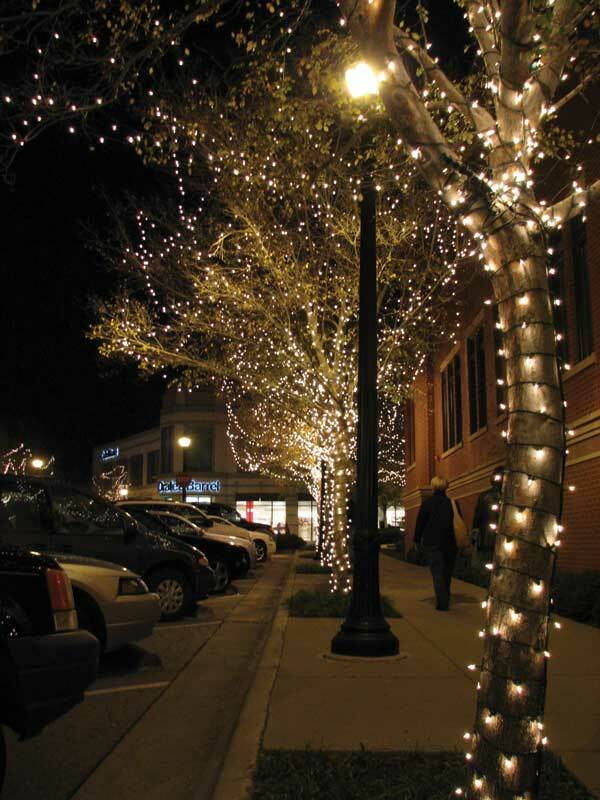 Banners and displays mounted on light poles along streets or throughout parking lots are the ideal way to cover large areas. 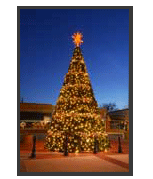 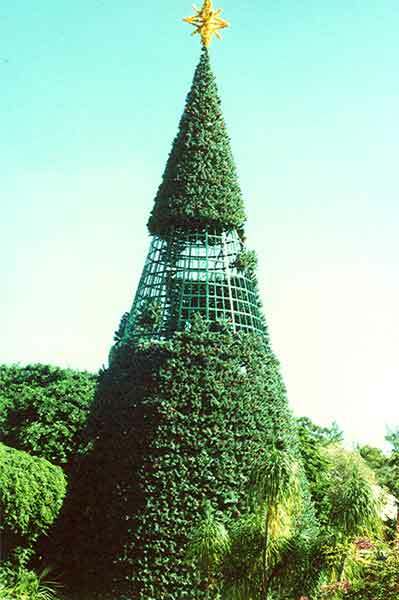 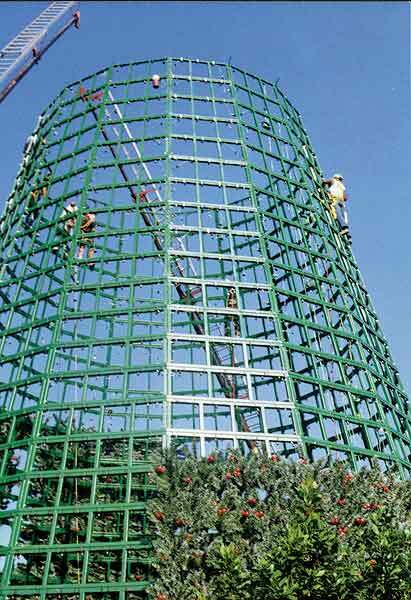 We carry a full line of indoor and outdoor Christmas trees. 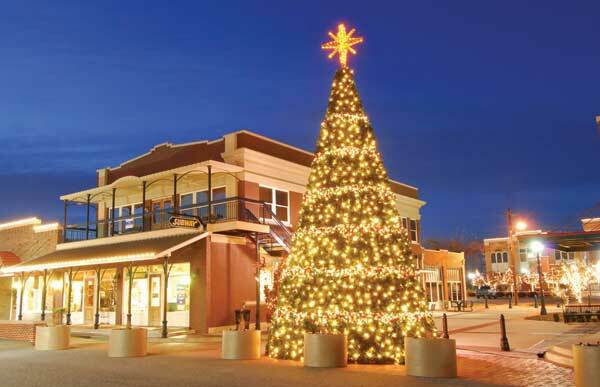 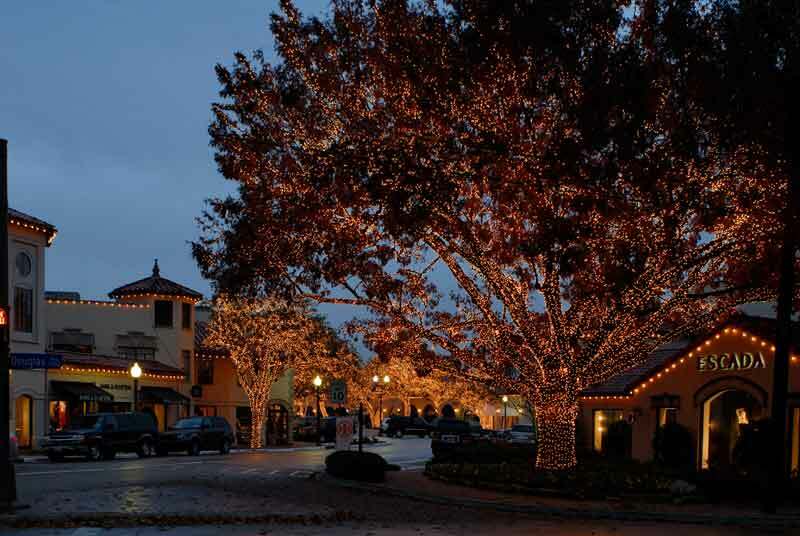 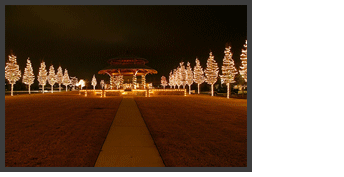 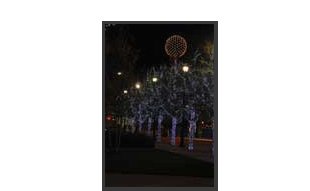 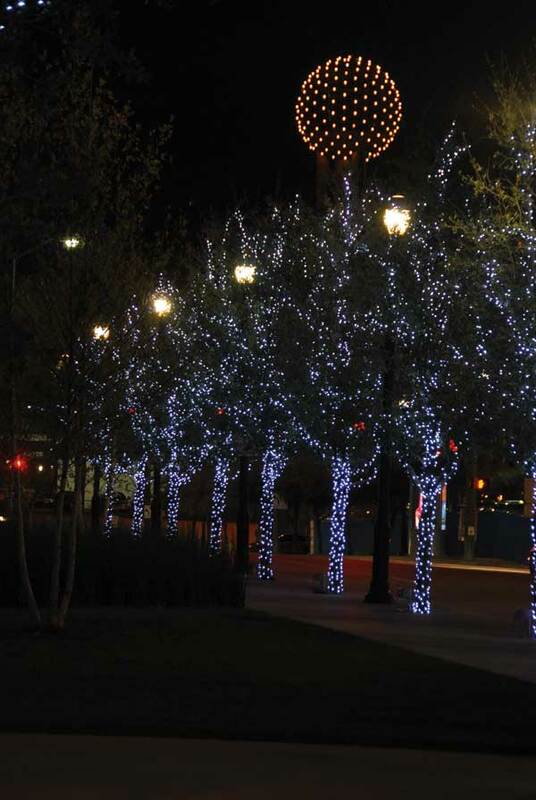 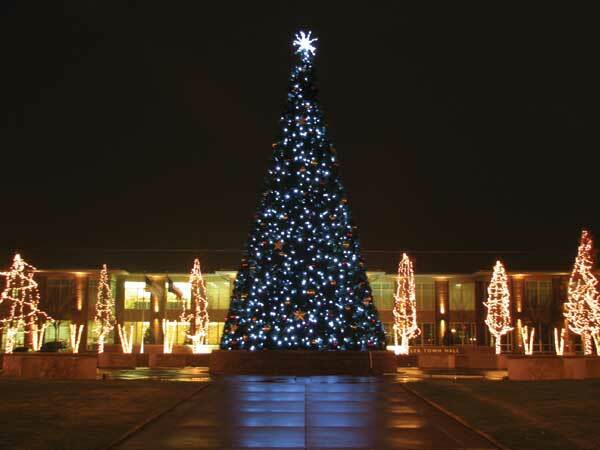 Outdoor options include vibrant 'Trees-of-Lights, amazing 'Garland Trees', and giant 'Panel Trees' ranging in size. 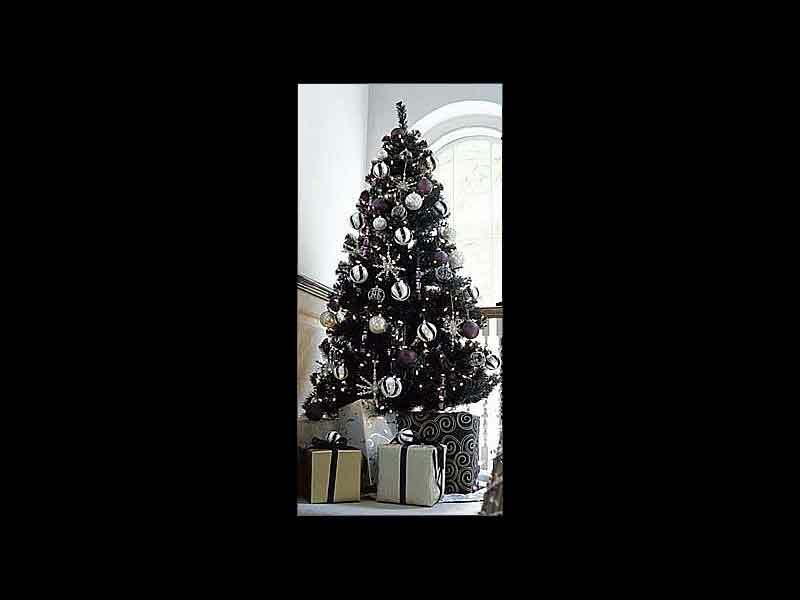 (up to 140’) Add a big star, oversized decorations and lights to have the guaranteed 'talk of the town' this Christmas! 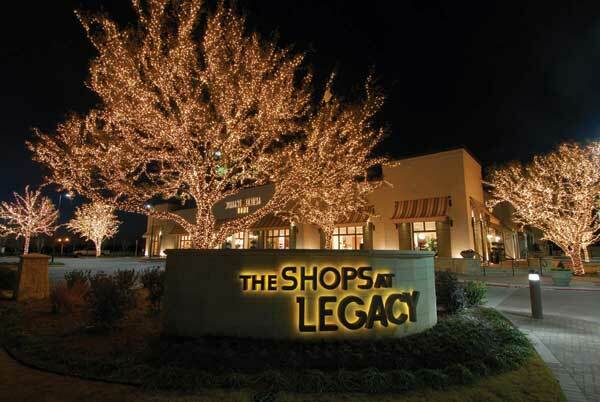 Malls, shopping centers, municipal complexes and common areas within communities are the perfect spots. 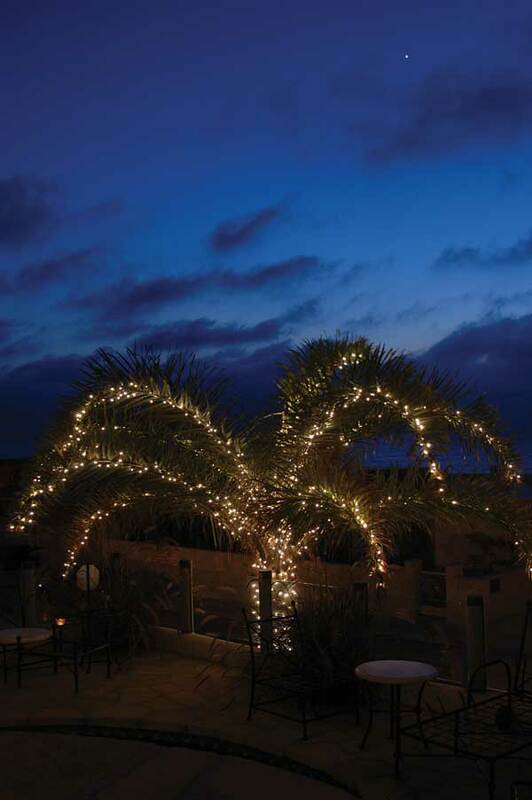 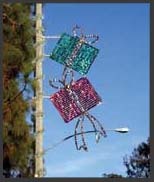 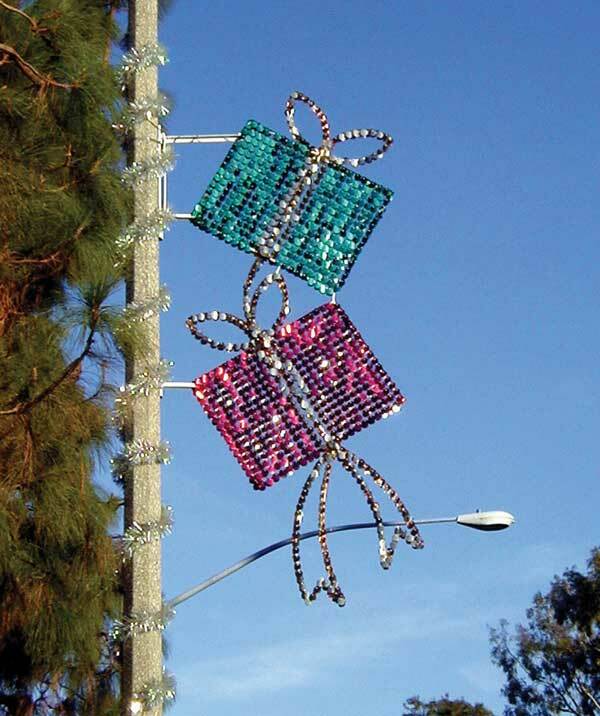 Whether installed on rooftops, over fountains or even on the ground, these decorations are always attention getters. 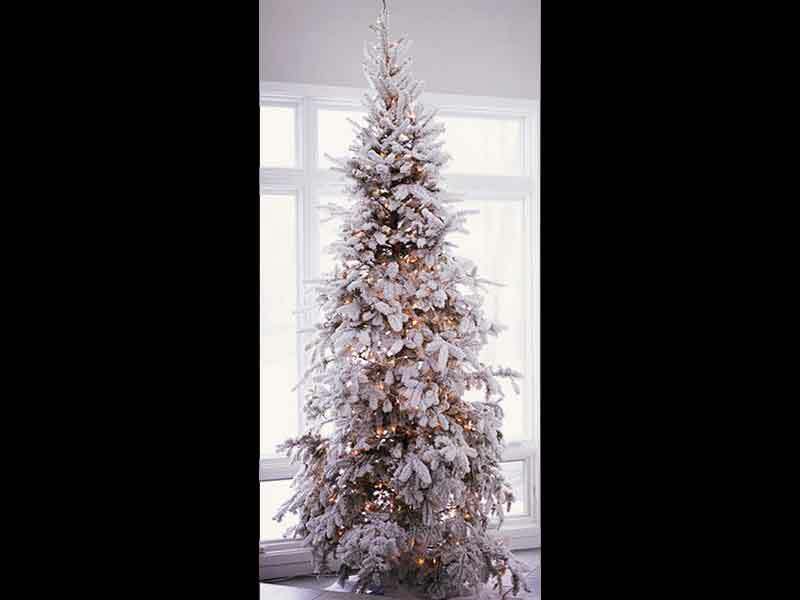 Indoor trees are available in a wide array of colors, sizes and styles to match your existing decor. 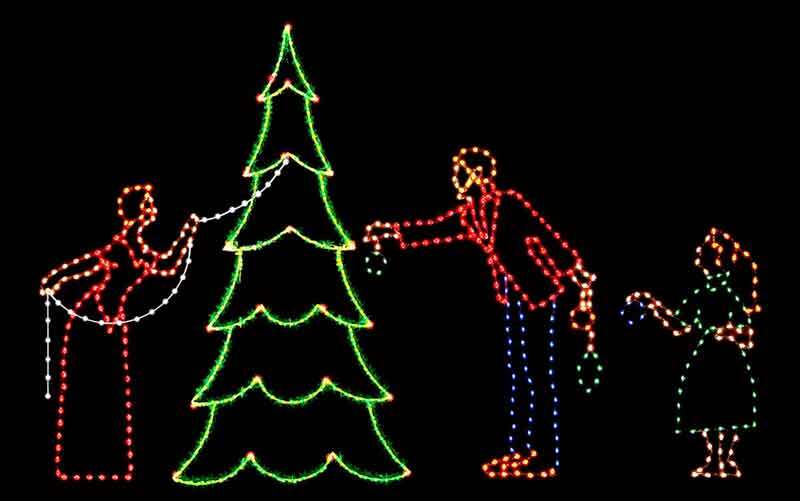 Nothing draws people together like an awesome 'Tree Lighting Ceremony'. 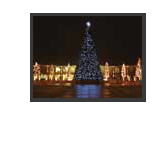 Bring the kids, Santa will be there!